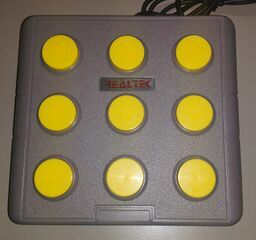 The Smash Controller was an unlicensed 9-button controller manufactured by Innovation for use with the game Mallet Legend also known as Whac-A-Critter. Plug the Smash Controller into Control One of your Sega Console. Insert game cartridge into console slot. Press any button to begin game.